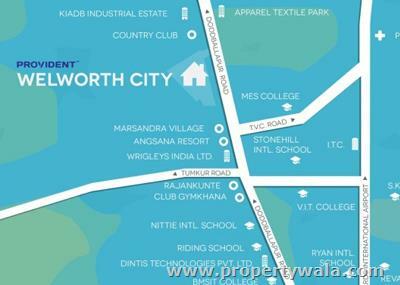 Provident WelWorth City is residential project, spread over 41 acres land. 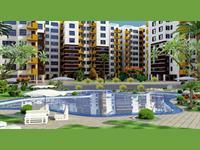 It is offering 2/3BHK lavish apartments in Yelahanka, Bangalore. 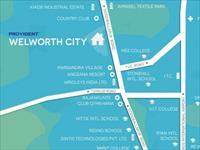 Provident Welworth City is a new launch by Provident Housing Limited. It is located on Doddaballapur Road at Bangalore. The project is set on 44 acres of land. 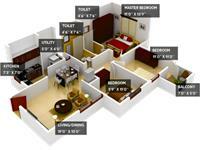 The sizes of the apartments are ranging from 845 Sq. ft. to 1180 Sq. 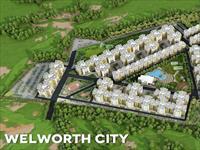 Ft. Provident Welworth City has 2 & 3 BHK apartments available in Yelahanka, Bangalore. 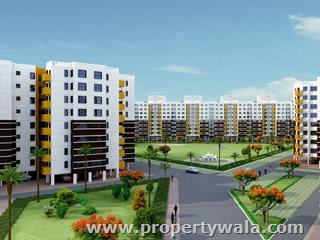 The project has good 3360 units in a well-organized manner. The project consists of 61 blocks that soar 8 storeys into the air each block comprising of a Stilt + Ground + Seven floors. 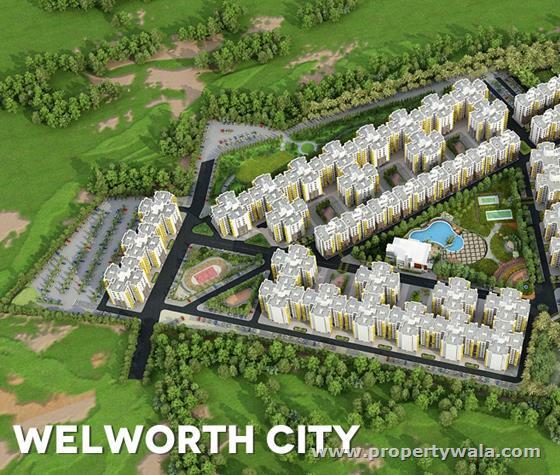 Welworth City homes come bundled with a foray of world class amenities. 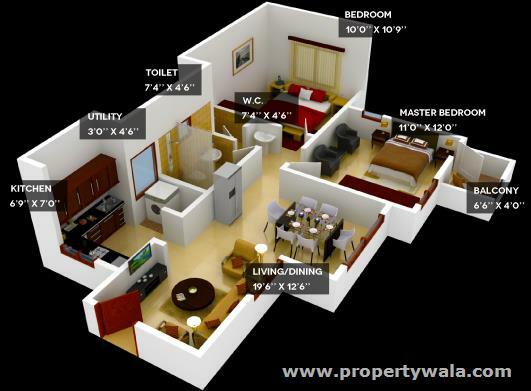 The project is strategically positioned near Bangalore International Airport. 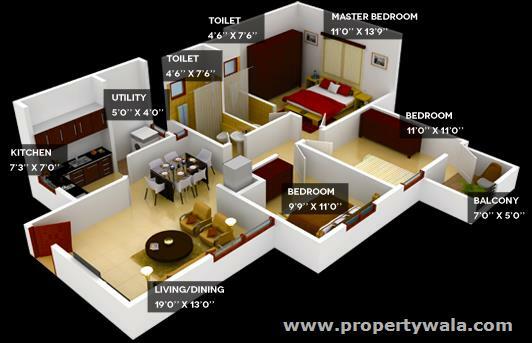 This home offers everything you have ever wanted from the best of amenities to good civil infrastructure and specifications which is not available in other houses for sale in Bangalore. 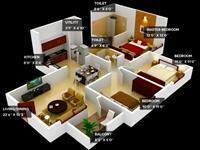 The project is located in the best location of Bangalore. Provident Builders Pioneering in the affordable housing project, provident builders is a is a 100% subsidiary of the parent group, Puravankara Group, one of India's real estate major based out of Bangalore. The group started its business ventures way back in 1975 in order to answer the growing needs of residential projects. With over 35 year of experience in the real estate venture, the group now specializes in building premium projects with a strong presence in the south Indian cities of Hyderabad, Bangalore, Mysore, Chennai, Kochi and Coimbatore. 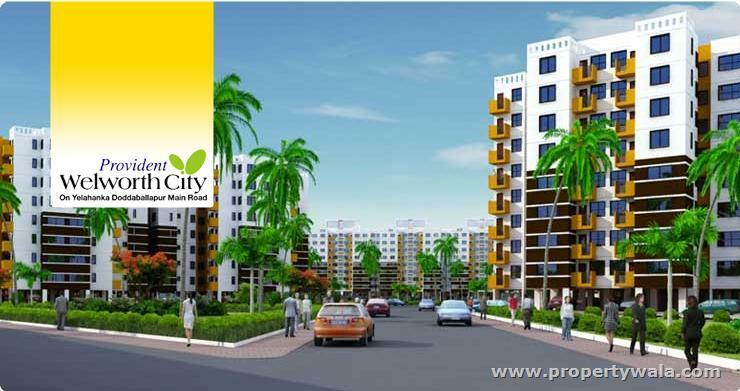 Provident Welworth City is a budget houses from Puravankara who is a reputed builder. All the basic amenities are available. The project has ample walking space. 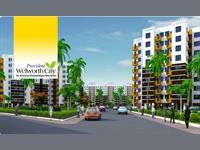 Provident Welworth City Bangalore is rated 7 out of 10 based on 2 user reviews. Have a good knowledge of Provident WelWorth City? Share it and become a Project expert.